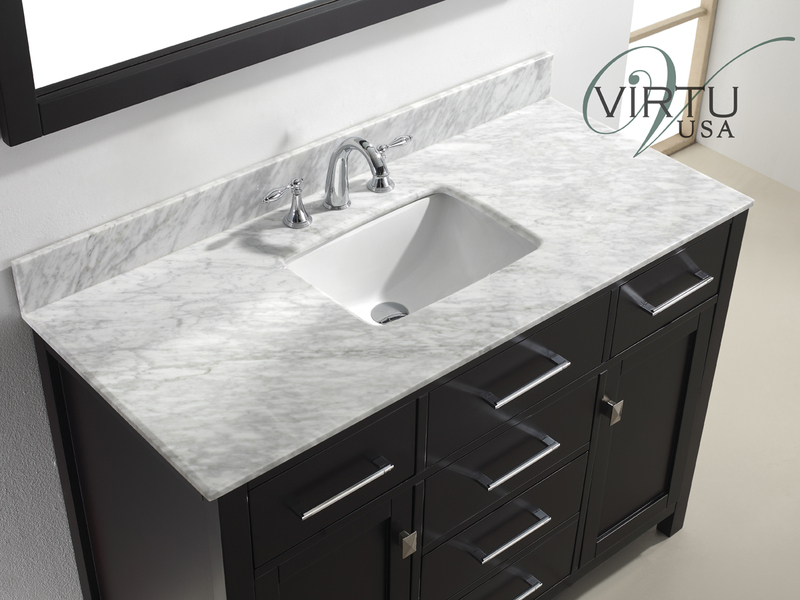 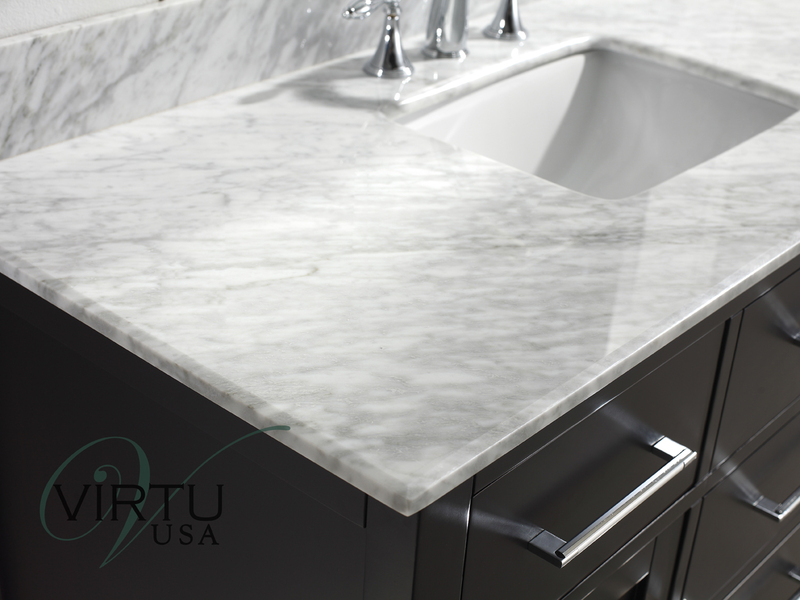 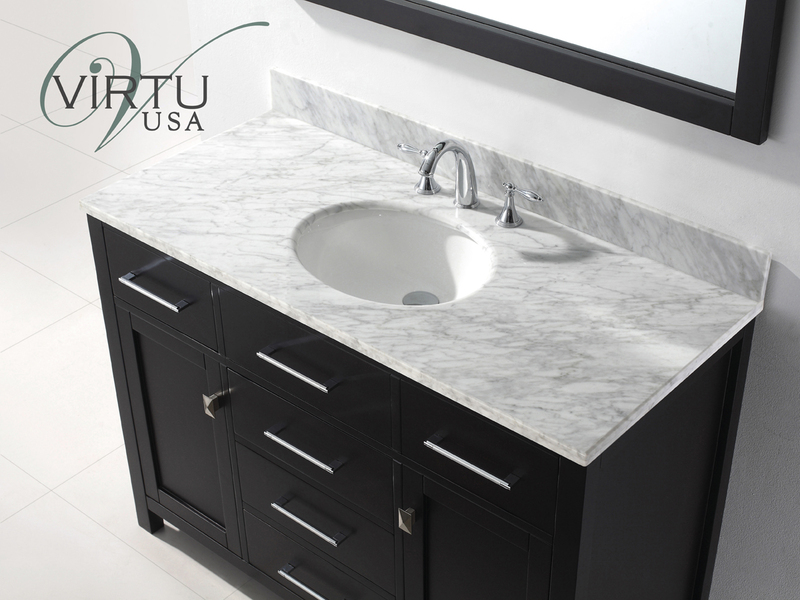 The 48" Caroline Single Vanity features a clean look that will remake the look of your bathroom. 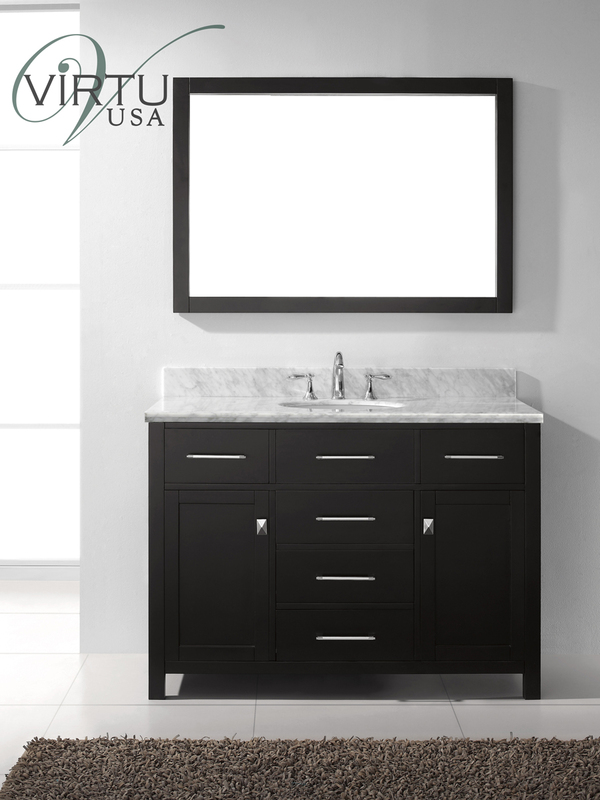 Made from solid oak wood with an elegant Espresso finish, the Caroline combines the beautiful finish of its cabinet with that of the Italian Carrera White Marble Top to give you a vanity that can be both modern and traditional. 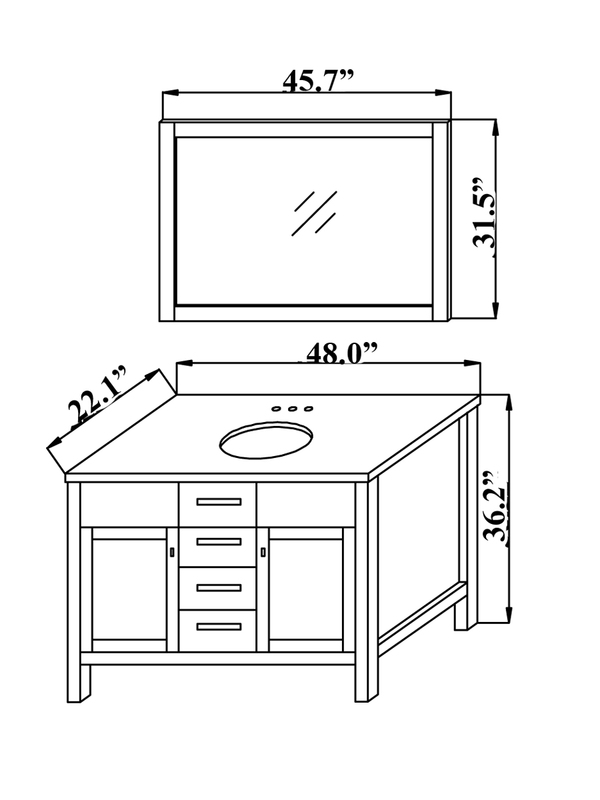 Brass hardware deck each of its 2 single-door cabinets and 5 storage drawers. 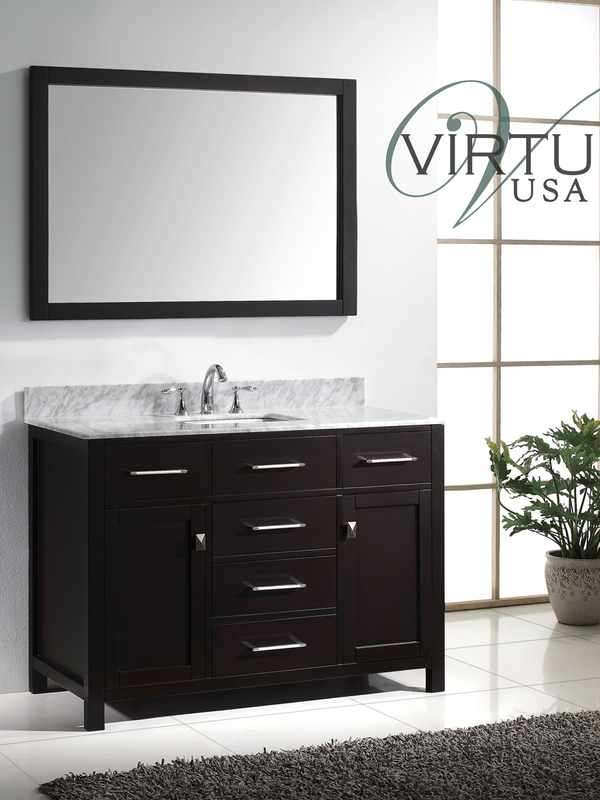 This vanity comes complete with a matching mirror!